“The name’s Bond. 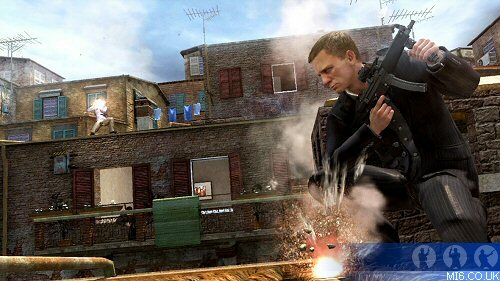 James Bond” is amongst the opening words voiced by Activision’s digital Daniel Craig in their first attempt at the franchise and 007’s first entry on next generation hardware. 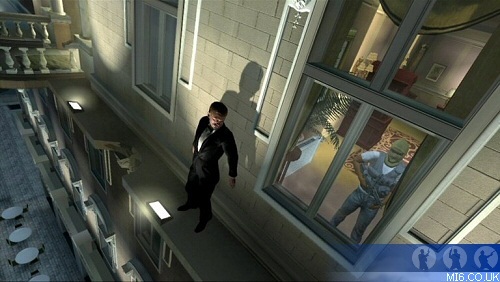 On inserting the disk for the first time, the game immediately kicks into action with a cutscene re-enacting the last few minutes of Casino Royale from Bond’s viewpoint – aiming down the scope of a sniper rifle as he takes a well-placed shot at Mr. White. The scene continues with Bond speeding to White’s estate in his Aston Martin DBS before exchanging the closing line of Casino Royale. The opening few minutes of action quickly set the style of gameplay; the use of the cover system is pivotal to surviving the onslaught of enemy fire and is well implemented with smooth transitions between first and third person. Unlike the majority of previous Bond games where the player boasted large reserves of health and armour, Treyarch have opted for a recharging health system popular in other modern shooters. 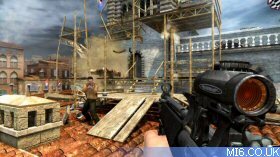 Bond can only take a few shots before falling, thus cover becomes a key gameplay element, slowing down what would otherwise be too much of an arcade shooter. 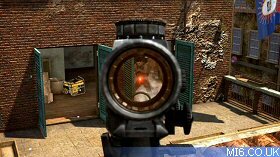 Weapons borrow much from the Call of Duty 4 system, acting realistically with varying amounts of recoil and behaving most accurately when using the iron sights which bring the weapon in closer for a finer aim. The main cast from both films, including Craig, have convincingly rerecorded select dialogue to retell the story from both films. Unfortunately, the use of most but not all likenesses draws particular attention to the characters such as Mr. White, whose likeness and voice have been replaced with a generic recreation that lacks the effectiveness that Jesper Christensen portrayed in the film. Craig’s likeness is particularly good and much effort has gone into faithfully recreating the various costumes of all the characters in both films. 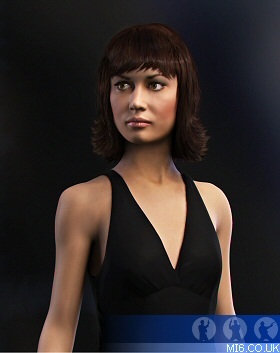 Above: The only character render of the game released shows Activision's 3D interpretation of Camille, played by Olga Kurylenko. 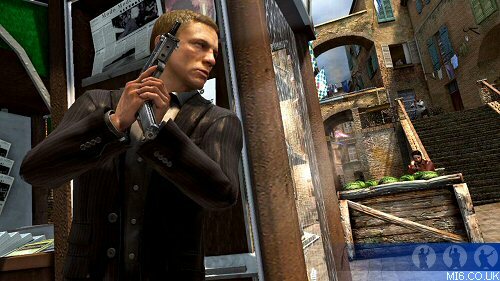 On completion of the game’s first mission, the player is rewarded with a gunbarrel sequence implemented in a style similar to Casino Royale, followed by a pre-rendered title sequence that incorporates the Lake Garda pre-title car chase from Quantum of Solace. An original song, “When Nobody Loves You” performed by Estonian singer Kerli Kõiv provides a fitting and catchy replacement to Jack White and Alicia Key’s theme which is missing from the game. As you progress through the game’s fifteen missions, it quickly becomes apparent that Treyarch have taken liberty to extend and on occasion change elements of the storyline for gameplay or technical reasons. The majority are justified, for example, the meeting of Quantum at the opera in Bregenz takes place in a closed, empty theatre - presumably because of the technical hurdle required to generate thousands of audience members. Some unusual choices have been made, such as the exclusion of the Liberian Embassy in Madagascar as a playable section. The location does however appear separately as a multiplayer map. The majority of the story is told from MI6’s point of view using voiceover from M and Tanner, overlaid on 2D animation screens similar to those seen in the film. This decision is somewhat understandable given the changing requirements of a film still in production – however, where cutscenes have been used the result is a mixed affair. Some scenes are rendered real-time in the engine while others have been pre-rendered using high polygon versions of the characters. The key fight sequences have been implemented using quick time event cutscenes which, despite being a matter of simple button mashing, are particularly good at making the action feel interactive while playing out the film’s sequence of events. Graphics are understandably the best seen in a Bond game so far; excellent environmental effects such as rain are used to effect in several levels, giving the developers the opportunity to show off the engine’s capabilities by increasing the specular lighting on Bond’s leather jacket to make it look realistically wet. Small touches such as particle effects and litter blowing in the wind make the gameplay experience visually rich. The enemy AI reacts convincingly and presents a challenge by flanking and flushing the player out of cover using grenades, particularly on the highest difficulty setting, where the effectiveness of their aim and damage increases exponentially. The best of the gameplay is perhaps the underused stealth and puzzle elements which are excellently displayed in the first half of the Tosca and Airport missions. Both require the player to sneak past or disable cameras while silently disposing of enemy goons. This slow, calculated approach is arguably more rewarding than the pure shooting aspects which dominate the majority of the game. The opening of the Tosca mission presents Bond as we know him best - dressed in black tie. The beautifully rendered floating stage surrounded by water and colourfully lit up at dusk demonstrates inspirational level design and excellent use of the film location. A button press puzzle that involves lowering parts of a bridge comes as a breath of fresh air and sells the mission as one of the highlights of the game. Composer Christopher Lennertz returns to score his second Bond game and provides an excellent orchestral score, echoing David Arnold’s film work and introducing the Bond theme originally into his music. Outside of the campaign, the online multiplayer rises to the challenge of creating a fun, accessible online experience with both traditional and unique gameplay modes in free-for-all or team play, battling ‘Agents’ against the ‘Organisation’. The ‘Bond vs.’ and ‘Bond Evasion’ modes effectively solve the problem of deciding who gets to play James Bond by rotating the character each round. Eagle eyed fans will spot a throwback to the layout of one of the GoldenEye 64 multiplayer maps which is a particularly nice touch from the developers. Despite the plethora of missions, the single player campaign is quite short and will only deliver the seasoned player six or seven hours of gameplay on the highest difficulty setting. Achievements on Xbox 360 and PS3 prolong the longevity of the game with tasks such as retrieving all cell phones scattered around the missions. The cell phones offer some depth, side story and on one occasion explanation of why there are so many explosive canisters sitting about inside Casino Royale. Helium tanks to fill balloons, of course. 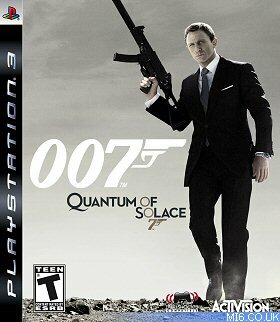 Quantum of Solace warrants a purchase from any Bond fan, offering a short but fun campaign that captures the main elements from both films well. The multiplayer mode is the best since GoldenEye 64 and extends the game’s life well beyond the campaign.